Everyone wants the best for their pets. Of course, a happy animal is a healthy one, so it’s worth knowing what you can do if your dog suffers from health problems or diseases. One condition it is important to look out for is diabetes. Diabetes in dogs is one of the most common conditions amongst dogs today. Even dogs can be affected by Type 2 diabetes or much known as Diabetes Mellitus. This kind of condition can affect almost one fourth of the dog breeds. Dogs diabetes can be quite risky if left undiagnosed and untreated. This could affect the skills and activities of your pet dogs. If left untreated, this may even lead to untimely death. 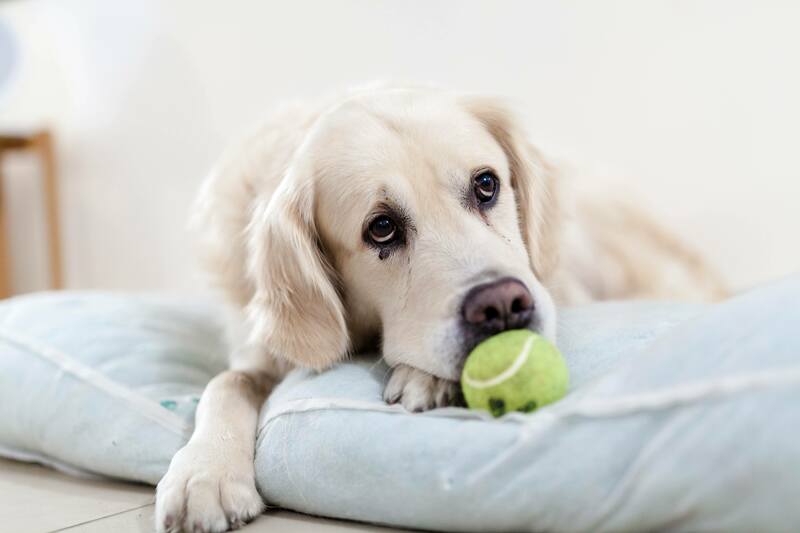 This is a surprisingly common illness in canines, but knowing what to look for, and how to treat it, can mean a long and enjoyable life for your dog. Diabetes is a disease which destroys the vital beta cells within the pancreas; these are necessary to produce the body’s natural insulin. With this insulin, the body will not function as it should. Canine diabetes will affect one in every 500 dogs; but if treated correctly this should not affect the dog’s quality of life, nor shorten its life span. Therefore it’s worth knowing how to spot the signs of diabetes, so that your pet can be diagnosed as quickly as possible, and begin receiving treatment. Usually canine diabetes is found in middle aged dogs, and predominately females. However, there are plenty of exceptions, and dogs can contract diabetes even in adolescence. If canine diabetes is left untreated, this can lead to serious disorders, such as weakness in the dog’s legs, dehydration and malnutrition, loss of eyesight, or even death. While a diagnosis of diabetes in your dog can be distressing, it is easily treatable. As the body is not producing insulin, the main treatment of diabetes involves ﻿﻿insulin therapy﻿﻿. For this you will be required to feed your dog twice a day, and injecting them with insulin after each meal. As diabetes can sometimes lead to other complications, like pancreatitis, a low-fat ﻿﻿﻿dog food like Dr. Tim's Metabolite Weight Management Formula or Annamaet Grain Free Lean Reduced Formula is usually a good idea. Of course, the exact requirements and dosage for each dog will depend on each individual animal, and your veterinarian can discuss the best way to treat your pet. As treatment is on-going, and can change if the dog’s condition alters, it’s worth looking into pet insurance as well. It’s quick and easy to get dog insurance quotes and will be inexpensive; and doing so should help cover the costs of your dog’s treatments. Discovering your pet has a medical condition can be hard news to accept at first, but once your dog has been diagnosed with diabetes, it is easy to keep it under control. Through daily insulin doses, formulated food and following the advice of your veterinarian, your dog will be able to live a full, happy life. Here is an informative video on dog diabetes and how it can be spotted. The adage, prevention is better than cure, is always best recommended. However, if your dog already has diabetes, early detection is the next best thing. Canine diabetes is known to be common among middle-aged dogs, but it may also afflict dogs of all ages. Now the question is, how do you detect this condition? The answer: know its symptoms. Below are the ﻿sym﻿ptoms of canine diabetes. If you notice that your dog is showing one or two of these, you will do him good by having him checked by a vet. Do you notice your dog urinating more often than usual? It could be a symptom. You see, once a dog has diabetes, blood glucose is increased in abnormal levels. Sugar, when it goes down to the dog’s urinary tract, would increase the amount of urine and this is why the dogs pee more often if they have diabetes. High levels of sugar or glucose in the blood can bring about thirst. If your dog seems to have an insatiable desire to drink water, then it should be a warning sign for diabetes. If your dog appears to have a pretty good appetite and yet you notice that he is losing weight, it could be because of the aforementioned medical condition. This is because insulin production is lowered, and once this happens, normal digestion cannot take place. If your dog is afflicted with diabetes, he will feel weak. His coat would also appear dull and the eyes would look tired. He may want to just sleep all the time and he will not be as playful as he used to be. Due to the high levels of glucose in your dog’s body, it will manifest in his breath. While your dog’s breath should normally smell like “dog breath” (if you are a pet owner, you would know what this means), the occurrence of diabetes will cause his breath to smell sweet and sugar-ish. A diabetic dog will often vomit. Moreover, if he becomes hypoglycemic, he might be shaking and may also lose consciousness. This can be extremely dangerous so medical attention should be sought immediately. These are the usual symptoms of canine diabetes. If you notice that your dog exhibits these symptoms, get a hold of your veterinarian right away so that treatment be given. How do you know if your dog is dehydrated or has extreme thirst? Watch this video. Dog owners are always after the welfare of their pets. We want to keep them healthy and happy. To prevent the onset of canine diabetes, it is necessary to know what causes this condition. The basic thing you need to remember is that this condition is common among middle-aged dogs, which is when they reach 6 to 9 years old. It is a result of damaged pancreas, similar to how people get afflicted with diabetes. Once this happens, the body will no longer function properly because insulin production is reduced, and as a result, digestion will be badly affected. If the dog’s lineage has a history of diabetes, then the chances of him getting it is pretty high. If you want to avoid this problem, it is always best you check the dog’s medical history before breeding. This goes the same when you are in the process of choosing a dog as a pet. Viruses and infectious diseases can be a cause for diabetes. Conditions that affect the pancreas can be responsible for the development of canine diabetes. Even if your dog has been afflicted with it sometime ago, the problem may not occur until later on. The best way to address this is to make sure your dog is regularly checked by the veterinarian, and this is especially important if he is sick. There are some drugs or medications that bring about an adverse reaction from the pancreas. If it damages this organ, insulin production will be affected and more likely, your dog will develop diabetes. It is therefore important that you check with the veterinarian for the side effects of drugs before administering it to your dog. It could save him from having to suffer from diabetes, and ultimately, save his life. Just like us, being overweight can cause diabetes. While it is not a solid cause, it can contribute to the likelihood of its occurrence. While we may not be able to prevent our dogs from getting diabetes 100% because it could be a hereditary problem, we can lessen the risk if we are aware of the factors that trigger it. Awareness is essential, and it could save you and your dog from having to deal with it as he grows older. Normally, your dog’s body produces insulin through the pancreas to help aid digestion. However, problems occur when he becomes diabetic. Abnormalities could go in two ways depending on which kind of diabetes he has. This is the more common among the two, and causes deficiency in insulin production. When glucose production is no longer regulated, it becomes excessive and this could badly affect your dog’s health. When your dog has Diabetes Mellitus, the liver will not stop producing glucose, and when blood glucose levels are fully concentrated, it leaks into the kidneys and goes into the urine. This results in water loss as shown through excessive urination as well as excessive thirst. There are two types of Diabetes Mellitus: we have type I and type II. Type II which is the more common type, is otherwise coined as insulin-dependent Diabetes Mellitus, which is what middle aged dogs acquire. This type is less common than Diabetes Mellitus. However, in spite being a rare condition, Diabetes Insipidus is very dangerous and has been the cause of many deaths among dogs. The symptoms of this disease are similar to DM; these are mostly excessive thirst and urination. Diabetes Insipidus are also of two types: Central Diabetes Insipidus and Nephrogenic Diabetes Insipidus. Central Diabetes Insipidus: There is a deficiency in production of antidiuretic hormones (ADH) from the brain. This could be caused by a congenital defect or the presence of tumor or trauma. Nephrogenic Diabetes Insipidus: When this disease occurs, the kidney will no longer respond to ADH hormones due to non responsive receptors. This condition may be brought about by infections, congenital defects, and medications. Both kinds of canine diabetes are dangerous medical conditions that require visits to the vet so that proper treatment would be given. Along with medication, lifestyle changes are needed if you want to keep your dog in good shape and save him from the effects of worsened cases of canine diabetes. Canine diabetes that has already worsened can cause complications to your dog’s body. This is especially true if the dog is old or if he has been suffering from the condition for a long period of time. It could also take place if we do not provide proper ﻿﻿care﻿﻿ and treatment for our pet. Below are the most common problems associated with diabetes in dogs. Due to excess glucose in the body, it goes into the lens of the eyes. The glucose found in the lens turns into sorbitol which brings about more water in the eyes. When this happens, the normal eye functions become disrupted, and the lens would then turn cloudy. Consequently, the dog’s eyesight will be badly affected, causing partial or complete blindness. This can be treated through surgery but only if the dog’s condition is stable enough to withstand the procedure. When your dog’s breath starts to smell like nail polish, it is an indication that he may have ketoacidosis. What is it and why do diabetic dogs develop this condition? Ketoacidosis is a very dangerous disease that usually occurs when a diabetic dog is not given proper treatment. As you are probably aware, when a dog has diabetes, insulin production is affected. When there is no insulin, the body’s glucose level goes up. 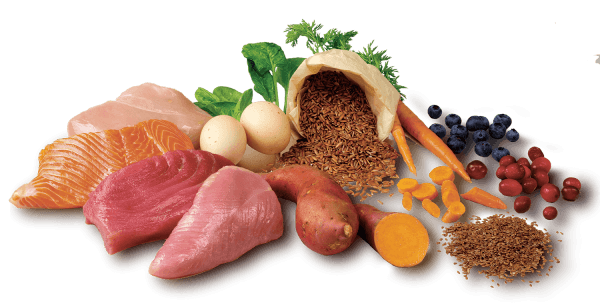 As a natural response, the body then metabolizes stored fat and turns it into fatty acids which would then be processed in the liver to produce ketones. On normal levels, ketones are effective in boosting the body’s energy, but when produced in high amounts, which is the case if insulin is unavailable, it causes ketoacidosis which could be fatal if not treated immediately. Dogs with diabetes have weakened immune systems and are thus prone to infections. Additionally, a high level of glucose in the body also attracts bacteria, which thrives well in such conditions. Urinary tract infection is also common because when there is excess glucose in the urinary tract, it will house more bacteria, both good and bad ones. It is therefore necessary for you to ensure that your dog lives in a clean environment to prevent the onset of infections which could further cause difficulties his condition. When you have a diabetic dog, there are certain foods that he can and can’t eat. Take note that digestion is not functioning completely when diabetes is present, because insulin production is lowered, if at all. Glucose level is high therefore and when you feed your dog, your aim is to provide food that helps put it down to normal level. Giving your dog a well-balanced meal every time is very important. It is also recommended that you do away with regular pet food and simply concoct a home-made healthy meal for him or buy specialized meals if this is what the vet suggests. However, bear in mind that as with our diet plans, their diet plans are not uniform for all, and what may work for one dog will not be as effective for another. To ascertain you get your dog’s diet plan right, you should consult with the vet. Here are the basic things you need to remember when feeding your diabetic dog. If your dog’s pancreas does not function properly, you should not feed him anything that will cause him to gain weight. Obesity will only worsen canine diabetes so scrap this off the menu. Whether it is natural or commercial sugars, it should not be given to your dog. Remember that our goal here is to lower glucose level, and if you feed him food that contains sugar, regardless of how insignificant the amount is, it will simply take us much farther from our goal, and ultimately, it is our dog that will suffer. So, even if it is just a treat, cross it out. In our meals, we always make sure we eat fiber-enriched foods to aid in proper digestion. This is exactly the way it is for your dog. Since his digestive system is unable to function properly, fiber would certainly help. Though you have been giving him foods containing fiber ever since, increasing the amount would be beneficial as it will help in digesting carbohydrates which help in lowering down glucose level. There are home-made and commercial diabetic meals available for your dog. Both are recommended because these are especially made to help your dog maintain low glucose level. Your next step now is to have a talk with the vet and discuss your dog’s meal plan. He knows what type of meals will be most helpful to your dog. Once your dog is diagnosed with canine diabetes, your next step is to make sure your dog gets treated. Diabetes worsens if left untreated, so it is necessary for you to ensure that your dog gets proper care and medication. The following are the different treatment options for you. Depending on the severity of the condition, you may either be advised to use any one, or all of these. A good diet plan for your dog would be meals that have zero fat and sugar. His meals should be fiber-rich and with high carbohydrate content, or as prescribed by the vet. You can find commercial diabetic dog food in stores and pet shops, or you can also opt to prepare home-made meals for him. As a precaution though, never feed him anything without discussing it with the vet as it may be harmful for your diabetic dog. Yes, your dog needs one. Aside from proper nutrition, your dog may need to exercise everyday too. A daily walk would help him burn calories and utilize the excess sugar in the body. Take note however that your dog may be weak because of his condition so you need to be gentle on the exercise program. Since your dog’s pancreas can no longer produce sufficient insulin, the best and most important treatment for your dog is insulin. You can administer this as an oral dose or intravenously, but the problem with buying the tablet form is that absorption becomes very ineffective since this is a protein substance. You can purchase injectables; don’t worry though, the needles are small and are not really painful for your dog. There are also oral medications available, but the potency may not be as high as that of IV dosage. You should also talk with your doctor regarding which type of medication is best for him. There is also a type of diabetes which occurs among pregnant female dogs. Since administering medication might be dangerous for her and her pups, the best treatment is diet and exercise. These three types of treatment are necessary to help your diabetic dog manage his condition. While cure is not guaranteed, these treatment options are definitely helpful in lowering down the glucose level which is the goal we need to attain when our dog has diabetes. Consistency is important for diabetes treatment. If not done regularly, your dog’s condition could worsen. When your dog gets diagnosed with canine diabetes, it is important you understand that he needs you now more than ever. Although the condition can be stressful, and even painful for you to accept, it is not the end of the world and you can still do something to help. Keep track of his daily activities, and this includes a record as to when insulin was administered. This is especially helpful if there is more than one person in the household. Record-keeping can prevent confusion, under-dosage and over-dosage can take place if you are not too careful. You should make sure you give your dog something to drink at all times. You should have bowls of water available in many parts of the house including the outdoor areas, as diabetic dogs are very prone to thirst. Keep sweets out of reach from your dog. Remember, we want to lower down his glucose level. If you have children in the house, you need to educate them regarding the dog’s condition as they might just leave candies and cookies around, or might even give your dog some of their food as a treat. You should have a list of phone numbers of the vet and animal clinics or hospitals, should emergency arise. Take note that your dog’s condition is delicate and emergencies might just happen, so you want to be ready for that. You should also have a readily available bottle of honey because your dog might become hypoglycemic. Now you might wonder how a dog who is supposed to have too much sugar in the body become hypoglycemic – which is brought about by too little sugar or glucose? If your dog gets an overdose of insulin, or if his exercise activities become too strenuous, his glucose in the body would go down altogether. Too much or too little of glucose is never good, so make sure that everybody is careful when it comes to diet plans, dosage and exercise activities for your dog. It is important that your dog gets regular visits to his vet so his condition can be assessed and monitored. Additionally, many diabetic dogs get urinary tract infections so the vet can also check if your dog has one. Here is a quick video on how you can monitor your dog's glucose levels on a regular basis. And lastly, give your dog the love and attention he needs. You need to spend more time with him, in the same way you would for a sick person. Spending time with your pet would put more enthusiasm and strength, which will surely be very instrumental for him to live a happy and fulfilling life.